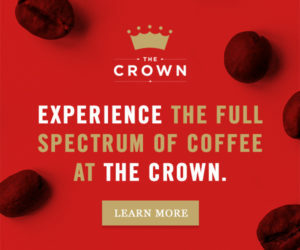 Photo courtesy of Royal Coffee Inc.
Auctioning is perhaps one of the most convoluted and least efficient ways to complete a coffee transaction. 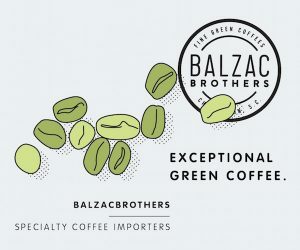 It also happens to be one of the very first means used for trading green coffee. It persists today as the primary method for purchasing coffees from nations such as Kenya and Tanzania, and it maintains an important role in the promotion of high-quality microlots. 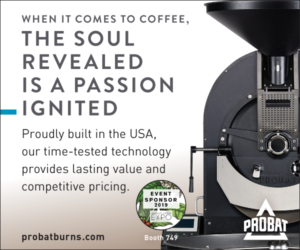 It can also, in best case scenarios, function as a method of discovery for roasters and producers, a means toward closer relationships through the supply chain. Recently I took a dive into the changes in policy in Tanzania that have reshaped the cooperatives and auctions in that country. Here, I’d like to take a close look at one of the most well-known national auctions and affiliated cooperative systems in Kenya. Coffee was introduced to Kenya by the British colonizers from Ile Réunion as early as 1893, but it wasn’t until the 1930s that the indigenous people were empowered to grow coffee on their own lands. Prior to 1934, most coffee plantations owned by the British were forced labor camps where Kenyans worked as slaves. Advances in the 1930s included the establishment of the Coffee Board of Kenya in 1931, and the first auction in 1935. 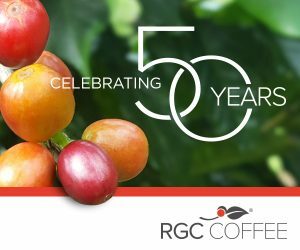 In 1944, cooperatives were institutionalized, requiring smallholder (5 acres or less) participation, a move that weakened their standing, as the Coffee Board’s members were mostly estate owners. However, in 1963, Kenya gained its independence from England, and plantation land was nationalized and redistributed. Cooperatives were empowered and nearly $4 million was provided in loans for the expansion of processing capacity and building new washing stations (called factories in Kenya). While many of these loans unfortunately resulted in indebted groups, cooperatives and cooperative unions that persisted remain an important part of the coffee supply chain in Kenya to this day, first surpassing estate production volume in 1978. 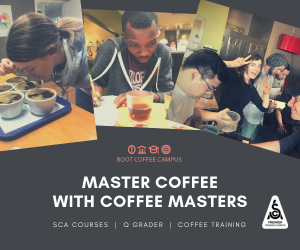 Today, approximately 75 percent of Kenya’s coffee lands are farmed by smallholders, but they account for only about half of its annual 50,000 metric ton production volume. The Kenyan government recognized the importance of the nation’s agricultural sector and put a priority on economic growth through export. In the same year as its independence, Kenya mandated weekly coffee auctions as the vehicle to achieve these goals. The auction is known now as it was then: the Nairobi Coffee Exchange (NCE). 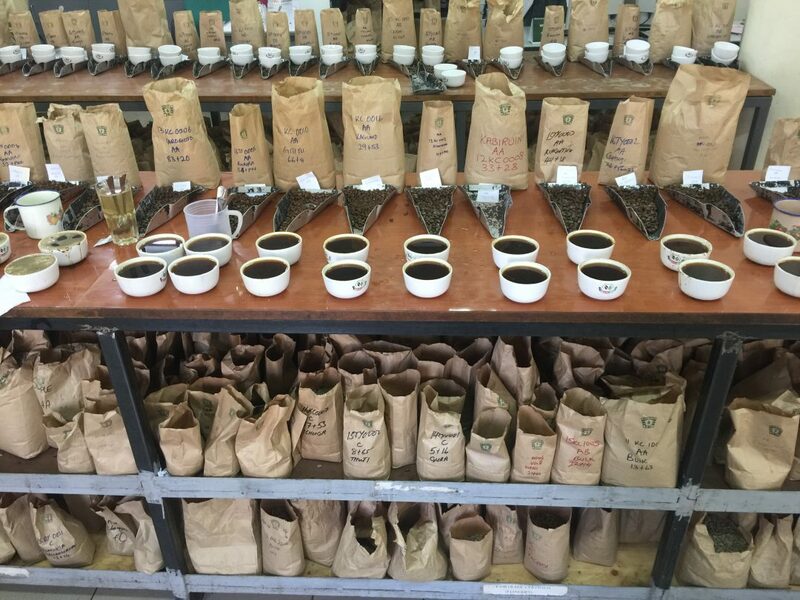 For better or worse, Kenya’s auction system remains a recognizable and important part of the country’s coffee trade. 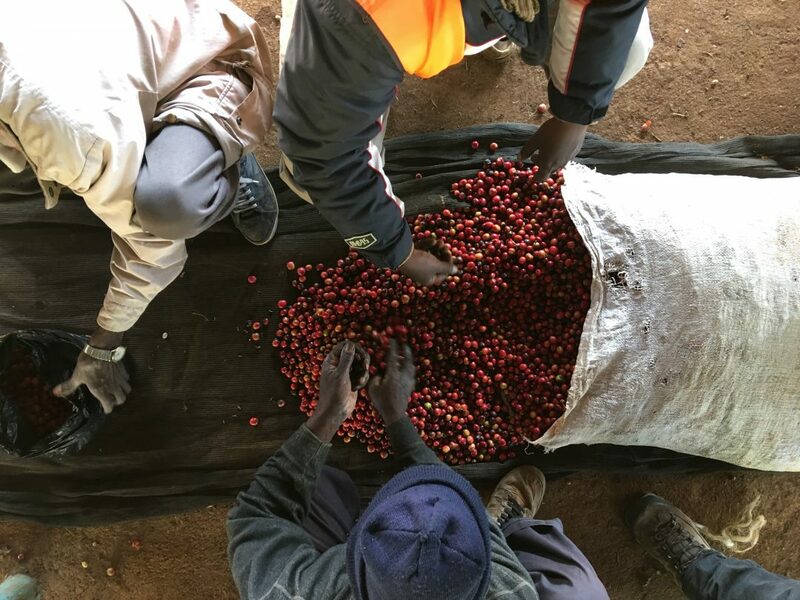 The auction, generally speaking, has been successful at achieving the goal of promoting high prices for coffees in Kenya and buffering the instability of the prices fluctuating on the whims of the futures market. 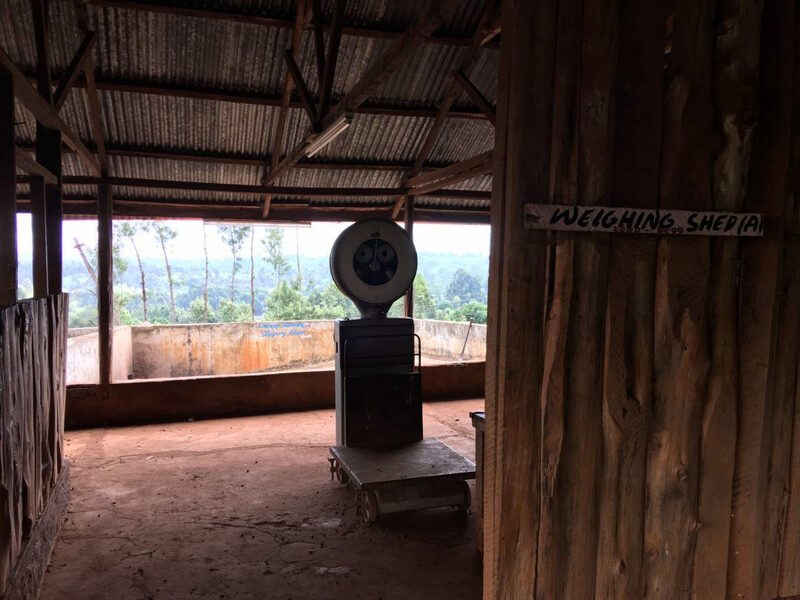 Kenyan coffee is physically and sensorially graded prior to auction, and many of the auction coffee lots are traceable down to the local washing station operated by a cooperative. The NCE is often viewed by neighboring countries as an example to follow; its prices are regularly among the highest, pound for pound, for any weekly coffee auction anywhere in the world. After thirty years of status quo, the NCE underwent some major changes starting in the 1990s. Two major financial factors were responsible for the changes. First, the breakdown of 1989’s international coffee agreement caused a global coffee price crisis. Not long after, in 1991, political corruption precipitated the first of what would be many suspensions of international aid to Kenya. In response, Kenya’s government attempted to improve its standing with the World Bank and reinvigorate its internal coffee market in the 1990s by privatizing the auctions, permitting international participation in the Nairobi Stock Exchange, allowing smallholders to choose which factory to sell their coffee cherry, and limiting the role of the Coffee Board to regulation rather than marketing. 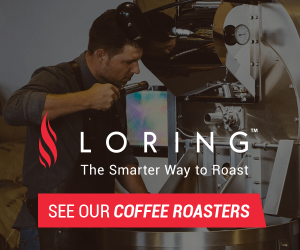 This last point is not insignificant; the “marketing” of coffee to the auction can have a role in determining physical and sensory grade, setting a minimum price, and even deciding who may bid on the coffee. However, even today not everything works exactly as it should. 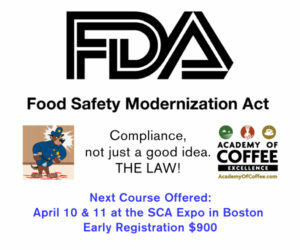 A strict set of regulations controls who can mill, trade, warehouse, market and bid on coffees in the country. 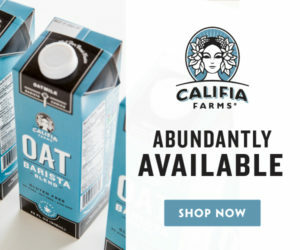 This is a good idea, but with problematic execution, as the independent marketing agents who bring coffee from the cooperative factories to the auction are frequently working towards the interest of millers or worse, bidders at the auction, who in turn may be agents for importers, despite rules prohibiting this practice. 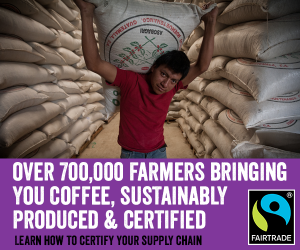 This creates an obvious conflict of interest, and puts at severe distance and disadvantage the smallholder farmers, who have little or no way of keeping track of how their coffee is handled in a convoluted system. To NCE’s credit, there have been attempts to circumvent this avenue of corruption. Prior to 2002, the Coffee Board of Kenya (CBK), run by owners of large estates, was the sole marketing agent for smallholder-produced cooperative coffee to be bid on at auction. In 2002, CBK was restricted to a regulatory role, and six “independent” agents were approved by the board. Since 2006, room was made for an additional 25 such agents, though the actual number currently active farmer marketing agents may be fewer. Further complications have arisen as a result of export industry consolidation. A small handful of international trading houses control the lion’s share of the auction volume. By one report in 2011, 76 traders were licensed in Kenya, but “only around 5 are really active.” This has caused predictable clamors of collusion regarding prices. A Harvard Business School publication notes that in 2004, “in the export stage, four companies — Neumann Kaffee, Volcafe, Ecom, Dreyfus — control 40% of exports. Similarly, four roasters — Nestle, Kraft, Procter & Gamble, Sara Lee — control 45% of that market.” So the massive scale of purchasing power of these corporations creates an imbalance at the negotiating table. Further in that 2008 publication, researchers noted that while in 1975 an individual Kenyan farmer could expect to reap around 30 percent of the auction price, by the year 2000 the figure was 10 percent. In 2014, Nyeri county’s best paying cooperative dealt out a pathetic Sh75 per kg to its members, roughly $0.34 per pound. Sh130 per kg is considered good pay, and that’s just $0.59 per pound. So clearly even in a high price environment, selling coffee at auction through the NCE involves too many links in the supply chain to compensate the grower properly. Some pressure was let off the auction valve in late 2006 when, in response to increased interest in non-auction trading from both farmers and roasters, a new piece of legislation was passed. Known as the “Second Window,” the law allowed private export companies to trade coffee directly from producers to roasters and importers. These exporters were required to be licensed and needed to demonstrate, among other things, access to export markets and financial guarantees for the producers’ coffees. In theory, this alternative trade route provides a traceable way for coffee farmers receive higher payments sooner for their produce. In practice, relatively little coffee is siphoned off via the Second Window. Restrictions on dealers, lack of access to outside markets for small farmers, and an entrenched system of cooperative unions keeps most coffee flowing through the auction. Depending on the source of statistics, 85 to 95 percent of Kenya’s crop is still traded at the NCE. Frustrations with profit lost at the auction are easy to spot in Kenyan media, however, including this strongly worded article alleging a “major racket by multinational firms” colluding to use a “loophole,” robbing the Kenyan government and auction system of valuable coffee and money. 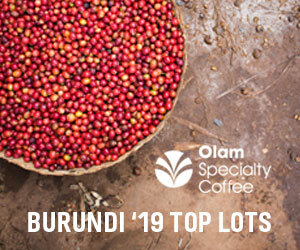 There’s likely some truth to this: The auction price has indeed suffered from lower average prices in recent years, surely due in part to international buyers and vertically integrated estates skimming off the top 5 to 15 percent of the highest-quality coffees before they reach the NCE. In an attempt to reign back in untraceable payments via the Second Window, the Kenyan government has proposed a finance system overseen by the NCE to consolidate and manage these payments. The proposition has drawn critique from many groups with concerns including a finance monopoly, and the exchange undertaking responsibilities outside its typical purview. There is some real danger involved in the Second Window, particularly if it gets political. An exceptionally spectacular example of this occurred in 2014, when Nyeri’s governor, Nderitu Gachagua, held the county’s coffee hostage from the NCE. His intent was to capitalize on direct trade opportunities and increase the price per pound paid. It was an abysmal failure. The Second Window had tempted a politician with little market knowledge to stockpile and lose traceability of his county’s coffee. 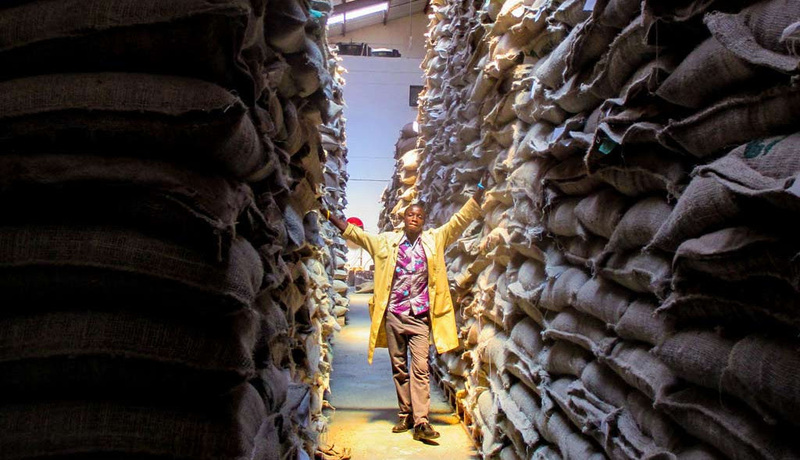 Parchment coffee wasted away in warehouses, waiting for buyers who never materialized. 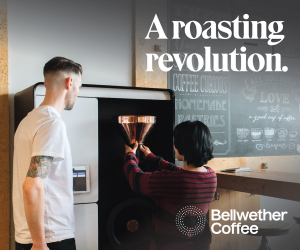 It was a nightmare for basically everyone, as roasters who wanted access could not get it through previously reliable channels, cooperatives were pitted against each other and their members, and farmers were left in the lurch while the county held valuable coffee that couldn’t be sold. In the end, the NCE auctioned the majority of the coffee late in the season, and cooperatives were unable to pay their farmers until December, during the following harvest, causing further problems on future crops in the region. However, the Second Window can be used successfully, with benefits to both farmer and roaster. 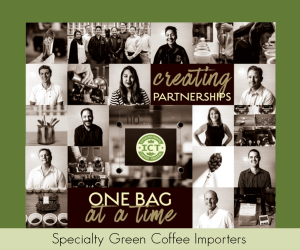 For an importing company like Royal Coffee, Inc., gone are the days when hiring an agent at the auction was the way to secure excellent coffees. 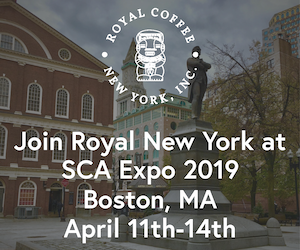 Per CEO Max Nicholas-Fulmer, the bulk of Royal’s coffee comes through trading directly with the KCCE, Kenya Cooperative Coffee Exporters, a vast, farmer-owned network of cooperative unions. 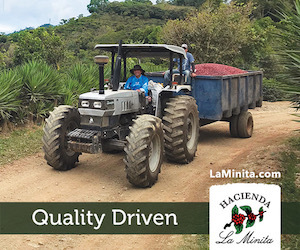 It’s a way to assure more of the money paid for impressive tasting, traceable microlots goes back to the farm level. Last season, Max put forth a program with a few of Royal’s long term cooperative suppliers to meet or exceed top auction prices in exchange for exceptional quality. This partnership is unique in its nature, and a standard bearer for how the Second Window can benefit all members of the supply chain. Speaking of the Kenya auction system as both a US buyer and a Kenyan farmer, the auction system in Kenya needs a complete revamp. 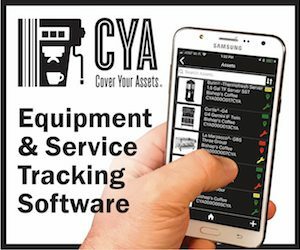 There are problems with coffee theft from farmers and no real way of tracing it at the auction. Further the prices shown at the auction are not necessary the sale/purchase prices giving traders (marketers) a lot of control over true disclosures to farmers at to what the coffee fetched. The current regulatory framework also prevents the non-sophisticated coffee producer or cooperative from selling coffee directly to a local or foreign buyer. The marketer controls the information between the buyer and farmers or farmer representatives giving him ultimate control over transactions at the expense of everyone else. Attempts have been made to reform the coffee marketing system, but vested interests have prevented real reform. In the end farmers are abandoning the crop in record numbers and there is no end in sight.